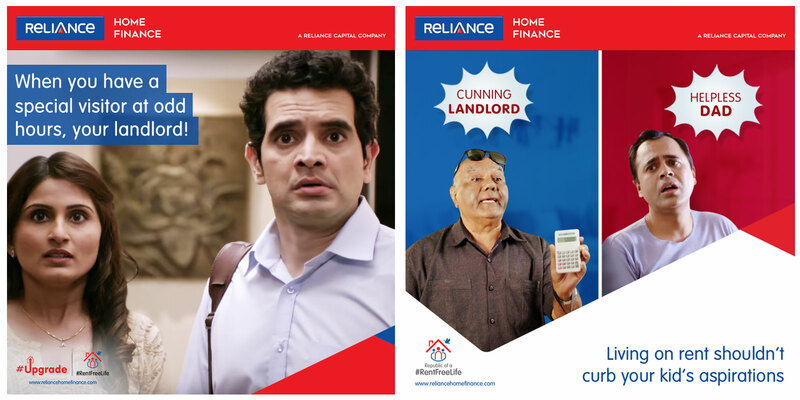 Reliance Home Finance stands for Upgrade – An innate sense of always wanting to do more, be more and achieve more. This sentiment is contextualized in the home ownership space and pride associated with it – Owning a home is the first and most basic sign of ‘having arrived’. Home ownership is not a priority anymore – People find renting to be a more convenient option with the ‘belief’ that it is cheaper. Reliance Home Finance wanted to bust this myth of rent is cheaper than EMI by adding the pride aspect, along with the features and USPs of the product that make home ownership so easy. In essence, taking a strong stand against ‘Rent’ on India’s Republic Day. A series of videos in relatable circumstances that a rented home tenant faces with the limitations and hassles that come with it. Whether it be getting a pet, or having a small home garden or even your child expressing themselves by painting on a wall, your landlord is almost a villain in the lives of a tenant. The Republic of Anti0Rent campaign strived to bust the myths of home ownership and renting.